Elon Musk is well known for his vocal opposition towards artificial intelligence and conscious machines which can make their own decisions. Perhaps, while working on autonomous vehicles he has seen some dark areas of the technology that he keeps warning the world about. Musk’s views are no doubt controversial and he often faces disagreement from other tech head honchos on this issue.The latest in line to argue with Musk’s stand on AI is Eric Schmidt, the former CEO of Google. Schmidt, who recently shifted from his role as the Chairman of Google’s parent company Alphabet, said that Musk is “exactly wrong” in his disposition against AI. Schmidt had recently stepped down from his role at Alphabet to contribute to innovation at MIT and is working as an advisor and board member for the company. 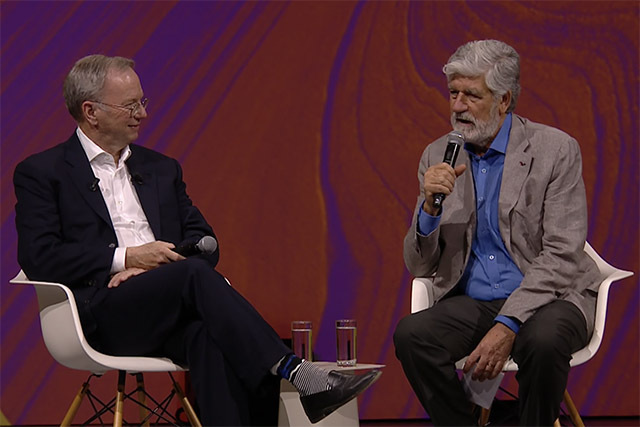 While speaking to Maurice Lévy, ex-CEO of Publicis at Viva Technology Paris conference, Schmidt shared his opinions about the positives of AI which outweigh its negatives. Schmidt said that AI will be imperative to solving complex problems in the future and suggested that Musk might not “understand the benefits that this technology“. He strongly believes that AI is much better at digesting a large amount of data and present it as a convenient platter. Schmidt acknowledged that AI, in its present state, is not capable of doing things better than humans, but it can help them with useful insights and predict patterns to improve performance. Over time, it should make “every citizen smarter“, help humans “live longer with less pain and less disease” and improve the “economic and social systems“. AI is still greatly an undeveloped regime and might have profound benefits in future. But given its current state, Elon Musk’s skepticism seems valid too. Even Schmidt holds that AI cannot provide the solution to every problem faced by humanity but is positive that it will offer better advises to humans and inspire them to tackle these challenges better. You can hear the opinions of the former Google executive in the video below.